After travelling for over thirteen hours from Abu Dhabi to Denpasar Airport, Bali one cannot contain the excitement of reaching the final destination, Ubud (pronounced “oobod”). Stepping outside the airport there is a sea of people waiting in arrivals to collect tourists, its mayhem. Organised mayhem. I had organised a driver prior to leaving, Mr Bedu’s Private Tours. On the road to Ubud, Bali’s craft capital, the colours of Bali come alive. The sky is blue complimented by green terraced rice paddy fields, tropical flowers and mopeds are zipping everywhere. The travel time to Ubud is about two hours, depending on traffic. The streets of Ubud are bustling with locals and travelers filled with an abundance of craft shops, tattoo parlours, temples, museums, restaurants and located in the centre is the market. Ubud is peaceful and serene, life floats by freely and time was of the essence. There are so many things to do and places to eat but with only four days, I had to pick and choose wisely. Below is a list of activities and places to eat. Booking.com offers accommodation options for all budgets. Hire a moped – most accommodation provides this service. Yoga Barn An oasis of calm in the centre of Ubud , there is a cafe and juice bar on the premises. Green Bike Tours – Excellent tour and the ride is down hill with the offer of an off road track and cycling through rice paddy fields. Below is a series of images I took over the duration of the cycle in the countryside of Ubud. Campuhan Ridge Walk, Ubud – free and easy trek with beautiful views. Below is a collection of images taken along the ridge trail. Clear Café Vegetarian Cafe with a delicious breakfast menu. Kafe Great Music, Healthy Foods, Yummy Desserts & True Espresso. I came across Kafe walking home from yoga. It has lovely salad options and sells local beer and wine. Room 4dessert offers handmade desserts, cocktails and wine. 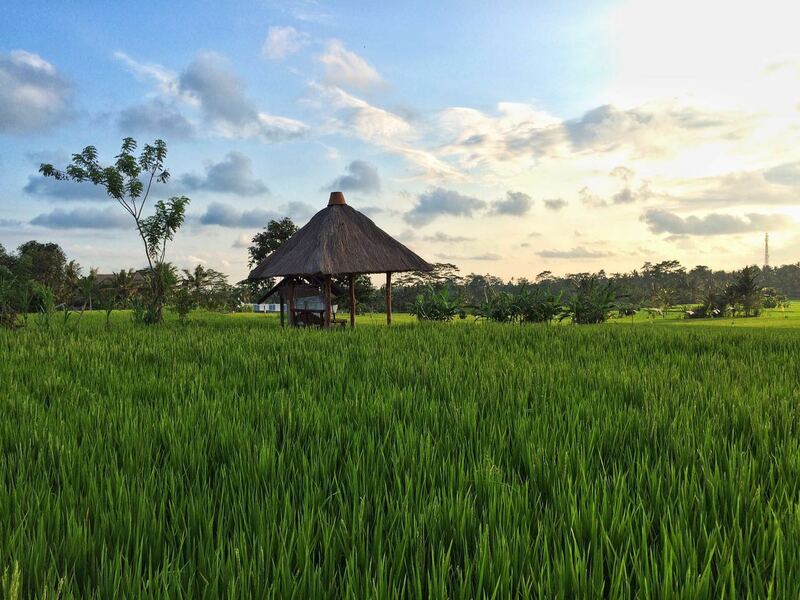 Have you travelled to Ubud? What is your favourite memory?